Absolute Software/LoJack for Laptops, Tablets and Smartphones: Track and Recover Your Important Data | DefenseReview.com (DR): An online tactical technology and military defense technology magazine with particular focus on the latest and greatest tactical firearms news (tactical gun news), tactical gear news and tactical shooting news. Now this is a product DefenseReview (DR) can get behind, provided it's only used to help us locate and recover our stuff, and not used against us by Big Brother (Nineteen Eighty Four), "Minority Report"-style (to mix literary/film references) to track our movements and track us down. Why does technology always have to be a double-edged sword? 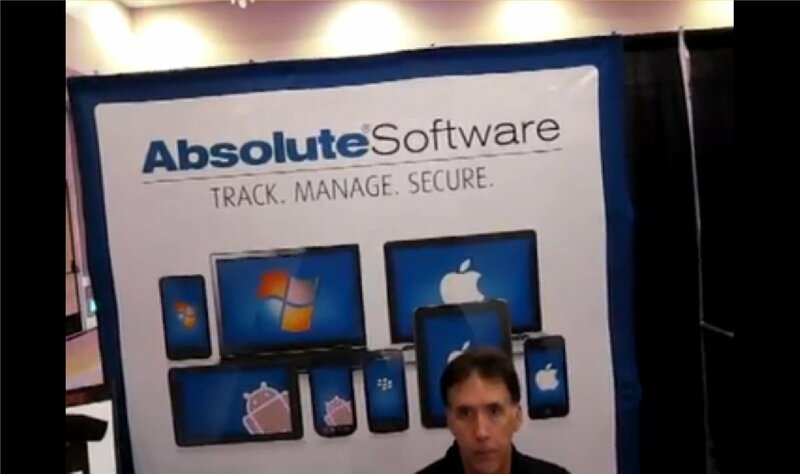 Anyway, the folks at Absolute Software/LoJack were kind enough to explain the technology to us at HALO Counter-Terrorism Summit 2012. Normally, if your laptop, tablet or smartphones gets swiped, you have about a 3% chance of recovering. But with Absolute's "LoJack for laptops" (and tablets and smarphones), you're recovery chances are signficantly higher, thanks to the combination of its patented software/firmware and "Theft Recovery Team" which tracks it and works with local law enforcement to perform the actual recovery. That's not all. In the meantime, you can remotely lock and delete sensitive data. Computrace Agent is installed. Computer is stolen. Owner contacts local police and Absolute Software. Absolute Theft Recovery Team forensically mines stolen computer for information. Location of stolen computer is identified. Absolute Theft Recovery Team works with local police agencies to recover stolen computer. The company's website claims that, so far, 27,000+ laptops have been recovered, as a result. Previous: Gun Rights Advocates Win a MAJOR Case for Second Amendment and Concealed Carry (CCW) Rights in Illinois: Legalized Concealed Carry in Chicago, and Eventually Nationwide?